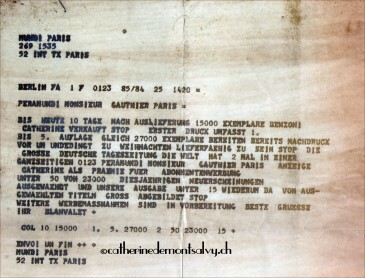 Original Brochure from 1964 - introducing Catherine to German readers! 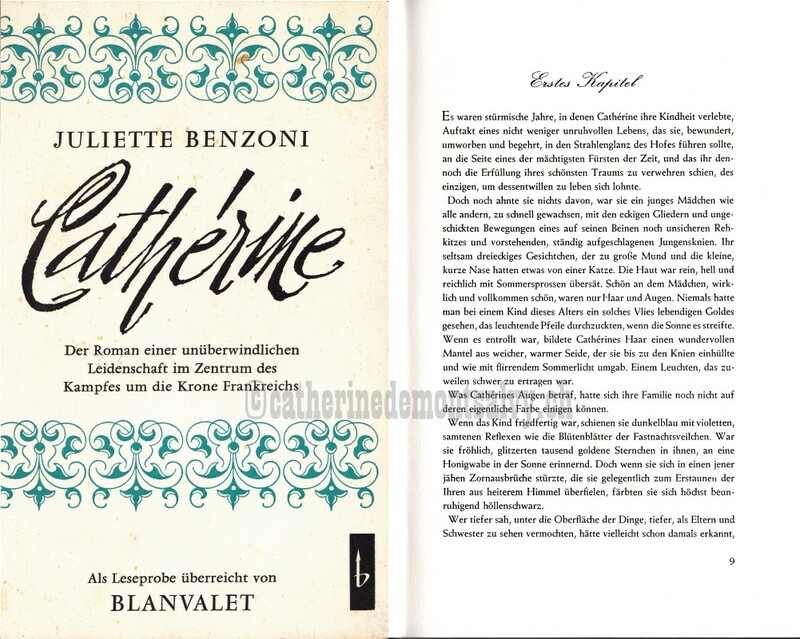 Lothar Blanvalet promised each reader who would send back the gift coupon which was in the new Angelique book - would then receive not only an autograph of Anne Golon - but also two chapters of Eine Liebe ist genug ! 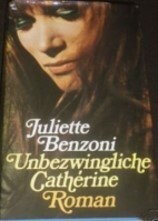 Some thoughts about the German Catherine books. 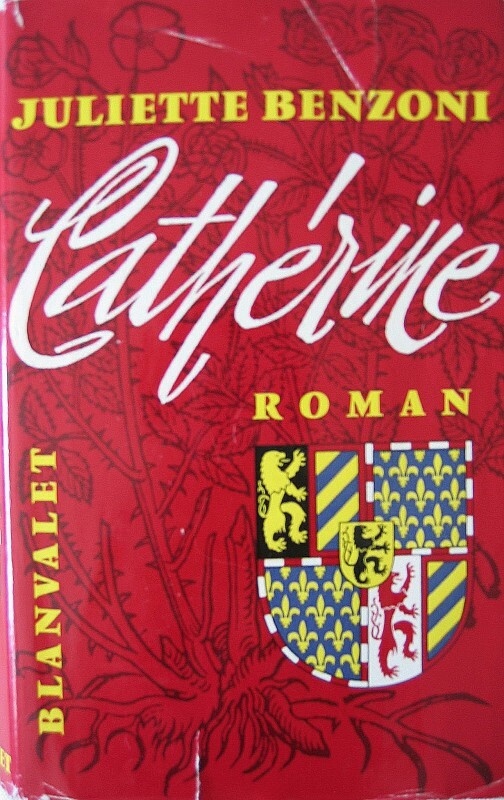 I read the Catherine novels in four different languages, so it was obivious that I would one day notice that there was a lot of text missing in the first book. 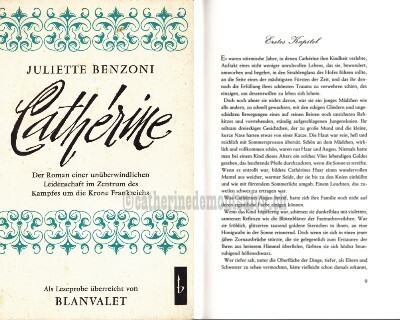 What a pity... because BLANVALET did otherwise a beautiful job with Juliette Benzoni's Catherine books. 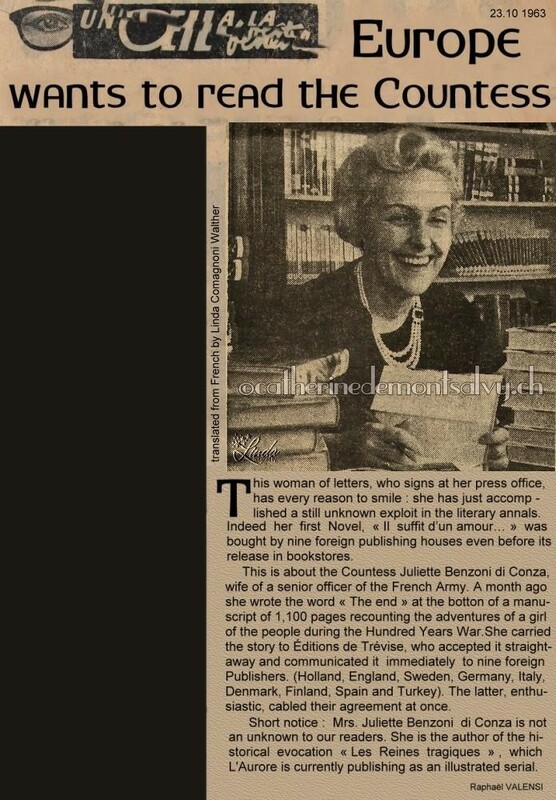 As the author told me personally on one of my many visits, she especially had loved how the German books were designed - yet Mrs. Benzoni had no idea that the first book was abriged. 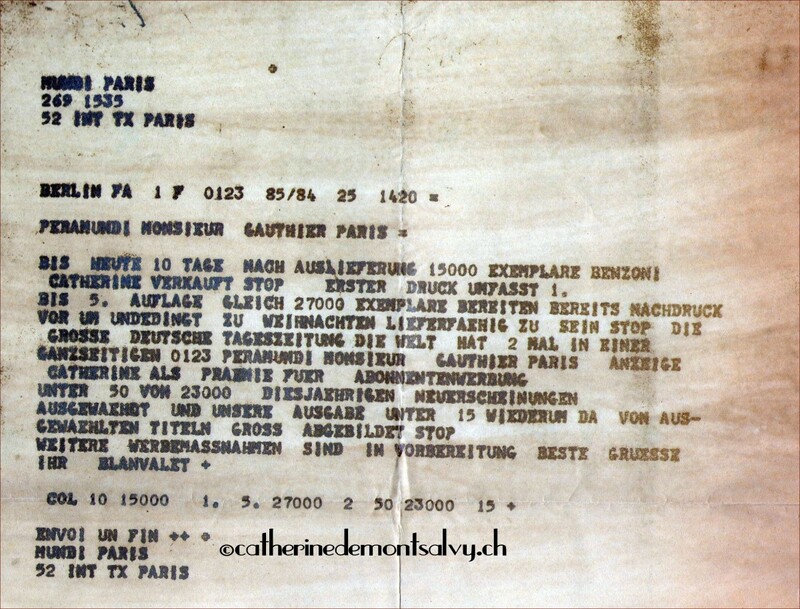 Here is an article I translated from French where we learn that GERMANY also belonged to the nine countries who bought the rights to publish Catherine - even though the book was not yet available in the bookshops in FRANCE ! « She carried the story to Editions de Trévise, who accepted it straightaway and communicated it immediately to nine foreign Publishers. (Holland, England, Sweden, Germany, Italy, Denmark, Finland, Spain and Turkey). The latter, enthusiastic, cabled their agreement at once. 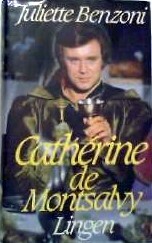 * Book 1 is a combination of the first two CATHERINE books - strongly abridged and Mister Nicklisch took the liberty to change at the end of the book a certain important scene! 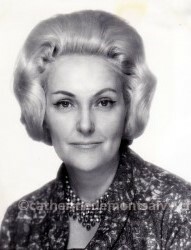 I do not believe that the author would have aloud that if she had known in 1964 ! 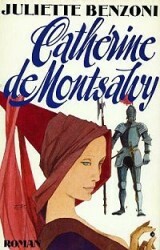 Goldmann Verlag paperback 1 - 4 1988 - book 5 & 6 missing in these editions - Pawel Moewig -Verlag 1988 only book 6 ?